11AM TO 12PM: "THE MOUNTAINS ARE CALLING, BUT HOW DO WE ANSWER?" This event is open to all* who understand the significance of reducing accessibility barriers for the LGBTQ Community in getting outside, and are committed to making substantive change to reach true LGBTQ inclusivity in their companies, organizations, agencies and in their own lives. *NOTE: Authentic allyship is expected throughout the Summit. For more information on LGBTQ allyship, take a moment to read these articles from the Washington Post, Everyday Feminism, or dive in to a Google search of words like "intersectional allyship", "privilege" and "bias". By sponsoring this event you, your company, organization or agency will be supporting LGBTQ individuals by making the bold and necessary statement that all people deserve an affirming opportunity to connect with nature. Kris Hermanns is Chief Executive Officer of the Pride Foundation, a regional community foundation that leverages investments to support local visionaries who are effecting positive social change by ensuring LGBTQ people and their families have access to the lived and legal equality they need to live safely in the place they call home. Kris has more than two decades’ experience as a policy and program strategist, fundraiser, and nonprofit administrator. Before joining Pride Foundation, Kris was the Deputy Director at the National Center for Lesbian Rights. Prior to that, she was a Program Officer with The Rhode Island Foundation, and also worked for Brown University’s Swearer Center for Public Service. She earned a Masters of Education in Administration, Planning, and Social Policy from Harvard University and a B.A. in political science from the University of Wisconsin-Madison. Kris is also a shareholder of the Green Bay Packers of the National Football League. Ava believes in this work because she believes a more sustainable future is dependent on simultaneously working towards social and environmental justice. As a result, she has devoted the last six years to researching and working in this field. Beyond her academic life, Ava puts her knowledge into practice by working as an outdoor educator and consultant for organizations that have a focus on diversity, equity, and inclusion. Ava is constantly excited about this work, whether it is being done at universities, in the field, or in an office. In particular, she enjoys that this work requires intentional community building and knowledge gathering. Zander is a Pacific Northwest grown transgender identified male who has always possessed a great love of and passion for nature and the environment. He is now beginning a journey to transform his passion and hunger for adventure in to a long term career in the outdoor industry. Christopher Peguero has a Bachelor of Science in Sociology degree from the University of Wisconsin - Stevens Point, 1999. After completing his degree, relocated to the PNW to teach environmental education with the YMCA at Camp Orkila. In September 2004, after the passing of Christopher’s partner of 5 years to HIV/AIDS, Christopherchanged his professional direction to focus on Lesbian, Gay, Bi-Sexual, Transgender, Queer (LGBTQ) and race and social justice issues. Christopher became more involved in the gay community - helping to raise money for GSBA (Greater Seattle Business Association), Bailey-Boushay House – AIDS and Cancer hospice and counseling and Life Long AIDS Alliance. Christopher is also a formerrugby player with the Seattle Quake Rugby Football Club, Seattle’s only gay rugby team and member of Emerald City Gay Softball Association. Christopher also sang with the Seattle Men’s Chorus. Christopher has continued his relationship with the YMCA – volunteering in Northern Thailand in 2005 to build an elementary school library for a small village and in Oct 2011 and May 2012 co-led trips to Miyako andSendai Japan with tsunami relief volunteers to assist with clean up, recovery and community re-development and additional trips to Nicaragua, Haiti and Ecuador. 2008-2010, Christopher was a commissioner and elected Co-Chair of the City of Seattle LGBT Commission and helped to organize a community “census” or snapshot to determine what gaps of city service existed for the LGBTQ community. In 2009, Christopher established SEqual, the City ofSeattle LGBTQ Employees for Equality resource group. 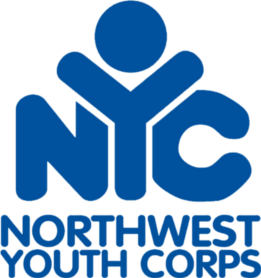 The group has assisted the Seattle Office of Civil Rights with their LGBTQ civil rights training for city employees and in October 2012 filmed an “It Gets Better” video targeted to LGBTQ youth who have been bullied in efforts to curb suicide. SEqual continues to grow as a resource for LGBTQ employees at the City ofSeattle. In 2011, Christopher became a member of the City ofSeattle’s Race and Social Justice Initiative Core Team IV. That same year, Christopher aligned with The City of Seattle Alternative Dispute Resolution Team and Office of Civil Rights to start a lunchtime “conversation café” with city employees called “Building Bridges – a conversation about the intersection of Race, Gender and Sexual Orientation”. Building Bridges recently held its se conversation with city employees about the complex issues surrounding this intersection, continuing a path to “collective liberation”. Jenny Bruso is a self-identified fat, femme, queer, writer and former indoor kid who, in 2012, went on an accidental hike revealing a new life trajectory of healing, self-care and adventure in the outdoors. Through sharing her personal stories and the @UnlikelyHikers Instagram community, she wants to bust up preconceived notions of what an “outdoorsperson” looks like and put a spotlight on diversity, inclusion and visibility. She lives and adventures in Portland, Oregon. Brady is the CEO of the Seattle-based Grist media (Grist.org), the leading national environmental media organization. Brady is a former State Legislator, and served two terms representing central Seattle, championing housing, mental health, environmental, and criminal justice reforms. In 2016, Brady ran for U.S. Congress endorsed dozens of local leaders, the Seattle Times, and described as "gutsy and effective" by local columnist Dan Savage. Before joining the Legislature, Brady spent five years at the Bill & Melinda Gates Foundation working on food and agriculture in developing countries. Before returning home to the Northwest, Brady lived and worked in Tegucigalpa, Honduras, on a Fulbright and founded a small non-profit, Proyecto Villa Nueva, focused on youth leadership development in urban slums. The organization celebrated its 10th anniversary in 2017, and was recognized by the Organization of American States for its contribution to violence prevention. Brady is a graduate of Princeton in economic and public policy, and later served on the University's board of trustees. Beyond UWKC, Brady also serves on the boards of the Trust for Public Land and the Washington Progress Alliance. Brady lives in Seattle's Capitol Hill neighborhood with his husband, Micah, a marine biologist. President of Inclusive Community Consulting, Daisy Purdy began the ICC cooperative to further her commitment to community engagement. She currently serves as a Lecturer of Ethnic Studies, Applied Indigenous Studies, and Sociology at Northern Arizona University where she's been teaching since 2008. Daisy's holistic commitment to education extends beyond the classroom, having worked as a Senior Program Coordinator for Native American Student Services and the Multicultural Student Center, on the Commission for Disability Access and Design, and as an experiential Field Instructor of WRFI courses for the University of Montana. Though the pursuit of her PhD in Political Science has dampered her adventure and travel schedule, she maintains time for both with a focus on volunteerism. Some of Daisy's international service includes volunteering for gender rights initiatives in El Salvador, teaching English as a second language in rural East Africa, writing for the Spirit Child Phenomena documentary project in Northern Ghana, and working with village leaders to provide post-earthquake humanitarian relief in the remote mountains of Nepal. Amelia Vigil is a San Franciscan, Two- Spirit, Mestiza, pun-loving, analytical, playful, outdoor educator, rock climber, performance artist, poet, identical twin, and lifelong student. She has a Bachelor's degree in English from Mills College and two Associate degrees from Feather River Community College: Liberal Studies and Outdoor Recreational Leadership. Amelia currently serves as the Events and Communications Manager with Outward Bound California, a non-profit organization that prioritizes expediential learning through outdoor education. She has been involved with the non-profit organization Bay Area American Indian Two Spirit (B.A.A.I.T.S) since 2013 and joined the Board of Directors in 2015. Jon Snyder is Washington Governor Jay Inslee’s Policy Advisor for Outdoor Recreation and Economic Development. He coordinates policy, legislation, budget items, and outreach related to outdoor recreation. He was appointed in December 2015 after serving on the Spokane City Council for six years and owning a regional outdoor magazine for nine years. Snyder served on the Washington Traffic Safety Commission, Spokane Transit Authority, and Spokane Regional Health District as well as having a leadership role in passing local ballot measures to fund parks, streets, libraries, and public transportation. Elyse holds a B.A. in Communication Arts, Gender Studies, and LGBT Studies from the University of Wisconsin. She is also a Master of Arts in Adventure Education candidate at Prescott College. Elyse has been an outdoor educator and guide since 2006, is an American Canoe Association Sea Kayaking Instructor, Wilderness First Responder, and has training in motivational interviewing, trauma informed care, behavior management and de-escalation, and positive youth development. Elyse is also known for her unwavering work ethic and passionate defenses of the Green Bay Packers and Wisconsin cheddar. Roz is a polyamorous queer person of color who loves traveling the world, seeking adventure, and cultivating meaningful memories. Roz’s interests include but are not limited to education reform, the culinary arts, and queer theory. For a just over a year, Roz has been working for Hip Camp as a Field Scout. As a Washington, D.C. native, Roz has enjoyed getting outdoors from a very young age. Roz loves darkroom photography, collecting stickers from eclectic stores, and supporting companies that have the mission to help others get outdoors and play. Roz sends love to Chaco who was not able to come along all the way to Seattle. 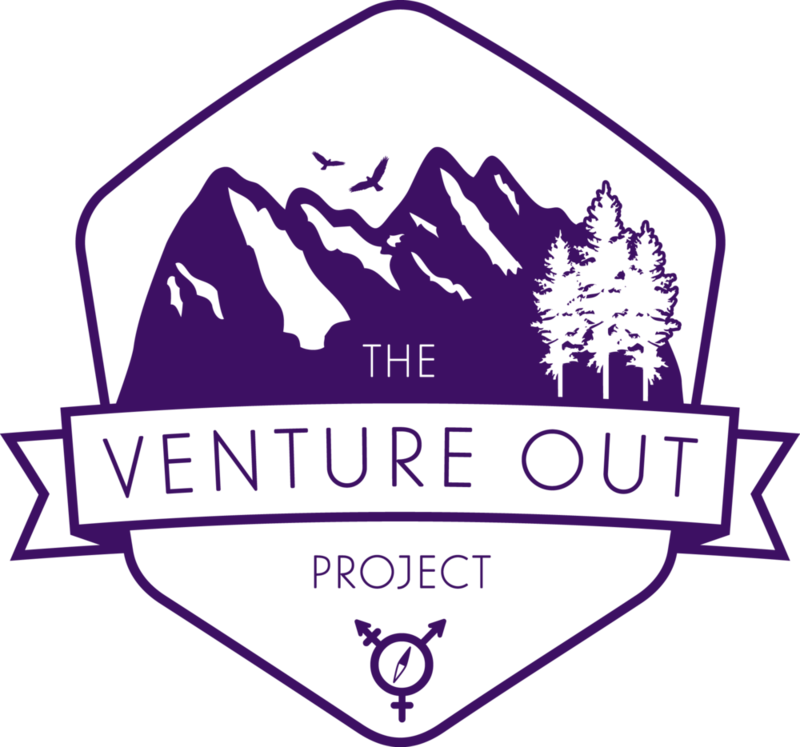 Hannah is the Founder and Director of Pride Outside, an organization that works to promote relevant, inclusive opportunities outdoors for the LGBTQ community. They host hikes, outdoor skills classes, LGBTQ history walking tours and more in Washington, DC; and they help connect and support people across the country working with the LGBTQ community and the outdoors. Hannah is Recreation Policy Associate at The Wilderness Society where she works to help connect Americans to public lands and focuses on youth, health, and diversity outside. She studied Political Science at Brown University and fell in love with the outdoors leading canoe trips over college summers in Canada. She was a Legislative Assistant for her hometown Congressman, Rep. Mike Doyle, covering health policy and leading the Congressional Autism Caucus. She’s hooked on the outdoors and passionate about helping others discover, explore, and enjoy wild places. Emmett Stanfield is a white, queer, trans social worker who lives and works in Seattle. They are a graduate of the UW School of Social Work and in their professional life work for Gay City: Seattle's LGBTQ Center and Ingersoll Gender Center. In their free time, they're an activist fighting for the liberation of all people. They currently identify as outdoor-curious and just went to Mount Rainier for the first time (yes, it was life-changing). Anna Czarnik-Neimeyer, MA, is founder/CEO of Bridgebuilder Consulting, bridging divisions to build better organizations. Czarnik-Neimeyer cultivates unlikely comrades through trainings, keynotes, courses, scholarly writing, and popular press, towards innovation at corporations, schools, churches, nonprofits, and publications. Currently she is on a yearlong global consulting tour “Tour d’Justice.” She is from the Midwestern United States, but finds homes and loved ones around the world, especially in Washington state and New York City. Czarnik-Neimeyer has founded innovative startup communities including Pride@Church ally trainings, and #WriteHereWriteNow author groups. She is an Editor at the justice+faith publication Religious Response, and Director of Strategic Planning & Development on OUT There Adventures’ Board of Directors. She was the 2017 Visiting Scholar in Residence at the bell hooks Institute in at Berea College, KY as well as 2017 International Visiting Faculty in Residence at Lincoln Community International Baccalaureate School in Accra, Ghana. Her own work has been published through Ms. Magazine, American Camp Association, USA Today, Sojourners, Teaching Tolerance (Southern Poverty Law Center), Religion News Service, and Parker Palmer’s Center for Courage & Renewal. Czarnik-Neimeyer’s blog “A Place on Earth” discusses worldmaking AKA “how can we use innovation/reflection/humor to make this world better and more just?” Presenting frequently at both the Association for Experiential Education (AEE) and National Women’s Studies Association (NWSA), Czarnik-Neimeyer was named NWSA’s 2016 WCC Emerging Leader. Whitney Thoren is an organizational and people development consultant inspired to help companies approach workplace challenges from new perspectives, and with better tools. Whitney's work pulls from diverse frameworks such as human-centered design to community building and emphasizes empathy, agency, relationships, and adaptability. Helping workplaces to create the conditions for everyone to thrive." David has spent the last 10 years working with big brands to create conversation with people through marketing. In his role at The North Face, David strategizes how to tell their brand story and launch major products in digital. At The North Face David is involved in selecting grantees for the Explore Fund which gives out $500k/year in funding to non-profits and outdoor programs – focusing on conservation, diversity, and underserved communities. He is also involved with charitable product initiatives such as the Walls Are Meant for Climbing and A Woman’s Place is on Top campaigns. David personally strives to bring progressive thinking into his work and advocates for diversity, inclusion, and mindfulness in the organizations he is a part of.